There’s a lot of fun videos out there about the worst habits of spiritual seekers. Usually, they are demonstrating ingrained habits or old ideas that are endemic in our society, simply re-framed into a format that spiritual seekers (and those that make fun of spiritual seekers) can laugh at. So we see the egoic spiritual practitioner who thinks they can heal everybody (been there, done that). The spiritual seeker who uses spiritual lingo or buzzwords without really knowing what they mean by internalizing them. (Namaste, for example). We see people being made fun of for signing up for odd courses or workshops. (Luckily for me, I’ve enjoyed and got value from every workshop I have attended). Then there’s the spiritual seeker who insists they have raised their vibration and completely reached Nirvana, now they are enlightened. And last but not least, the person who has had the deepest or most life-changing meditation experience. I see that person having an experience, so why not me? Fun and funny, but sometimes even in reality these spiritual dead ends can trip us up and keep us from the journey. 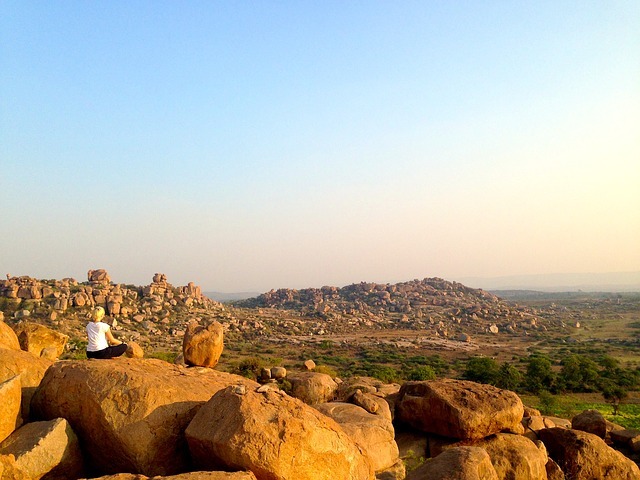 So here are my 5 habits spiritual seekers to help you from tripping up! I remember the first time I realized I could sense energy and other people could sense me moving their energy – that was it! I would be able to heal so many and the planet would change so much for the better. Oopsie. I think I tripped up on my ego there. After a while, once I had come back down to earth, I noticed that if healings were received by clients it was definitely not anything to do with me. Either I was simply a conduit for the energy, or the work helped them to reconnect with something that was already present in their energy. Whatever the reason, the client always did the work to get the good result. It was really nothing to do with me. So give it up. Shift sideways during a session if need be and accept that whatever is going to happen will happen and it’s between the mysteries of consciousness and the client, nothing to do with you. You are simply in the right place at the right time. A good thing, but not world-shaking. So you’ve heard a new spiritual buzzword? 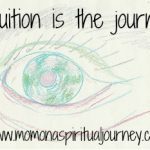 Can you explain it in the context of a personal spiritual experience? If not, then best to steer clear. I used to use the phrase ‘belief systems’ a lot thinking it just meant something like a blip in the energy field that was blocking flow. Finally, I began to dig into my own ‘belief systems’ and realized that our energy systems are like a tree. The roots are our core values and beliefs, the trunk our present energy carrying the potentials of the belief systems and the branches, trees, and flowers being the potentials we can manifest from those systems. So a belief system for me isn’t just a ‘thing’ that’s floating in my energy field which can be changed. It’s endemic and flowing throughout the whole system. That’s a whole lot of spiritual work right there. Having embodied that thought more fully I became much less flippant about encouraging clients to change their beliefs. It’s a big shift! 3. 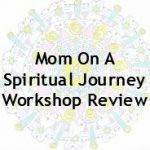 Avoid signing up for too many spiritual workshops at once! Been there, done that, worn the t-shirt. You know how it is, somebody you’ve been following and really resonate with is doing this amazing course and you want to join. So you get all excited and do so — then it’s a lot more work than you realize. And then there’s another…and so on. Especially tempting if you are growing a spiritual business too, whatever the course is, it’s bound to help. Truth is, you can never tell how a spiritual course is going to affect you until you’re in it and the changes are taking place. And that could be a whole lot of work. So as a general rule I stick to one new spiritual course per year. It gives me time to assimilate, embody and interpret the new energetic information coming through from the course. And that’s a good thing! It’s very tempting. We work hard as spiritual seekers and sometimes it can be a bit of a rollercoaster. We have highs and we have lows. Old friends leave, new ones arrive and sometimes we realize we are in a desert period and may have to make a complete and total life change. Nobody ever said it was going to be easy. So perhaps somewhere inside we imagine this place where all the work is done and we have raised our vibration – and that is it. When I started to work with homeopathy (a vibrational medicine) my homeopath would talk about the road to healing being similar to the layers of an onion. We’d peel off one layer with a remedy and another would appear, and so on. When we work on our vibration energetically we increase our awareness and hopefully our mindfulness. Yet I believe we never make it to the center of the onion — at least, not here in 3D, there are too many lessons to learn. So, peel off another layer, and move on. You are ascending and the journey is all part of it. 5. Accept and embrace your own personal spiritual experiences and stop yearning after others. It’s easy to think when you attend a spiritual conference or a teaching of any time that you are ‘owed’ a deeply spiritual experience or that you will have some kind of mind-blowing, life-changing event. And sometimes that does happen. Most of the time however you get a glimpse, or a small shift, or the workshop or teaching is part of a longer flow of work that goes on for years. So, worry not if you don’t see a full technicolor vision like the person next to you in the workshop. Either it’s not your time or it’s just not the way you do things energetically. Many of my deepest spiritual experiences have come as a complete surprise and were gentle waves rather than loud bangs. And they resulted in deep, long-term changes. So keep at it! Adopt these 5 habits and contribute to your success as a spiritual seeker. Here, Here Sarah! Well said. I couldn’t agree more. Those are the 5 principals I try and live by and work by. Thanks for the reminder. Hugs to you. Thanks for the comment, hugs and appreciation! Glad the post resonated.